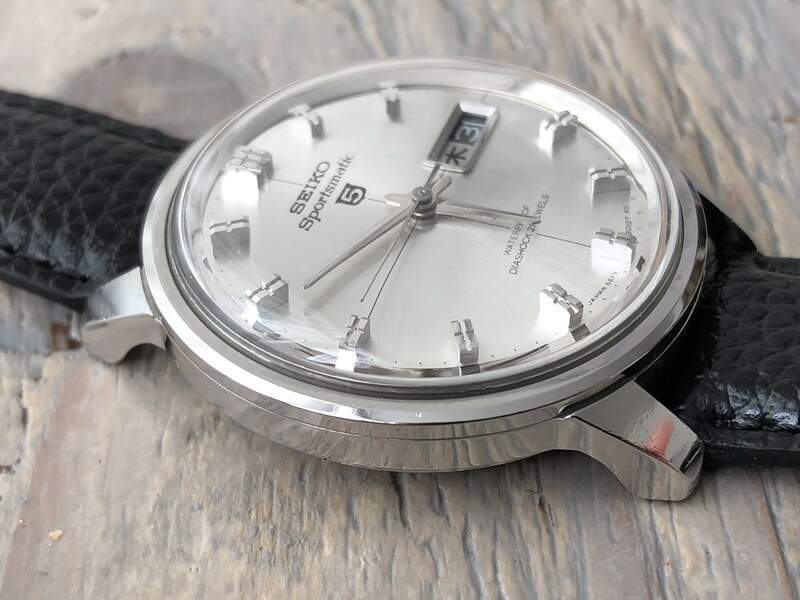 The Sportsmatic automatic was introduced in 1961 by Seiko's Suwa division as a cheaper and more sporty alternative to the Seikomatic. 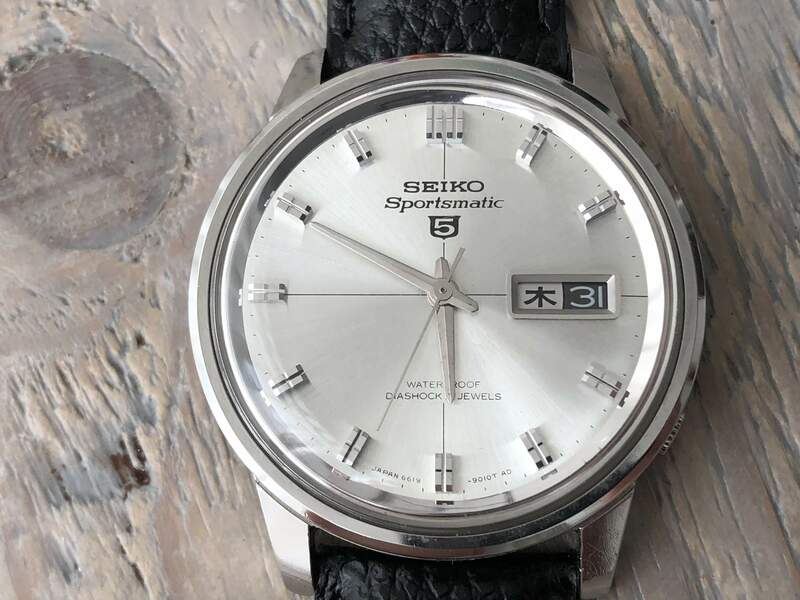 As with the Seikomatic, the Sportsmatic was produced during most of the 60s in many variants and with different calibers including diver models, 5 Sports, Deluxe and the 820 calendar. Inside the Seiko Sportsmatic is an interesting engine. 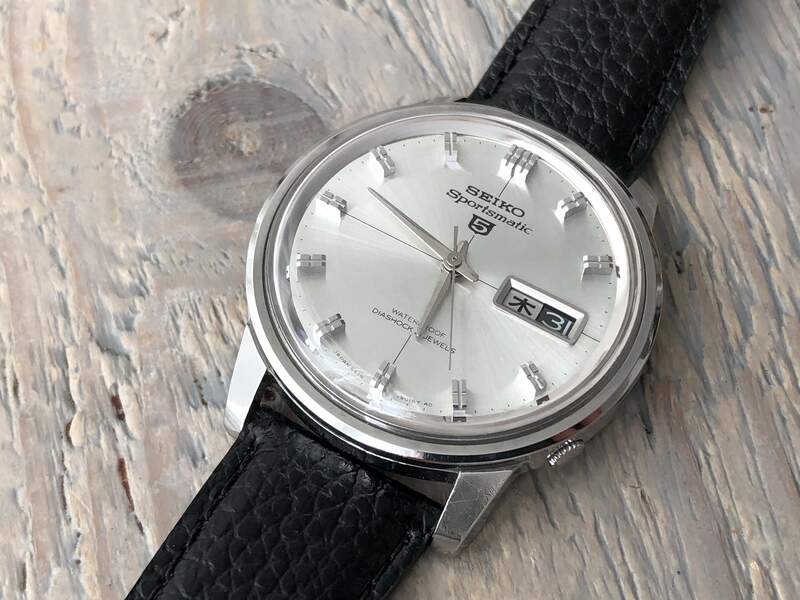 The 6619 movement from Seiko is automatic, thus the “matic” in Sportsmatic, and features 21 jewels – or does it? Actually, the 6619 movement actually contains 18 working jewels and 3 placed there for no reason other than having 21 over the more common 17 must have seemed like a good idea! It’s a rare step away from the typical no-nonsense efficiency shown by the Japanese brand. Otherwise, though, the 6619 movement, which was introduced in 1963 as the 410 prior to 4-digit naming conventions, is a great and reliable unit. 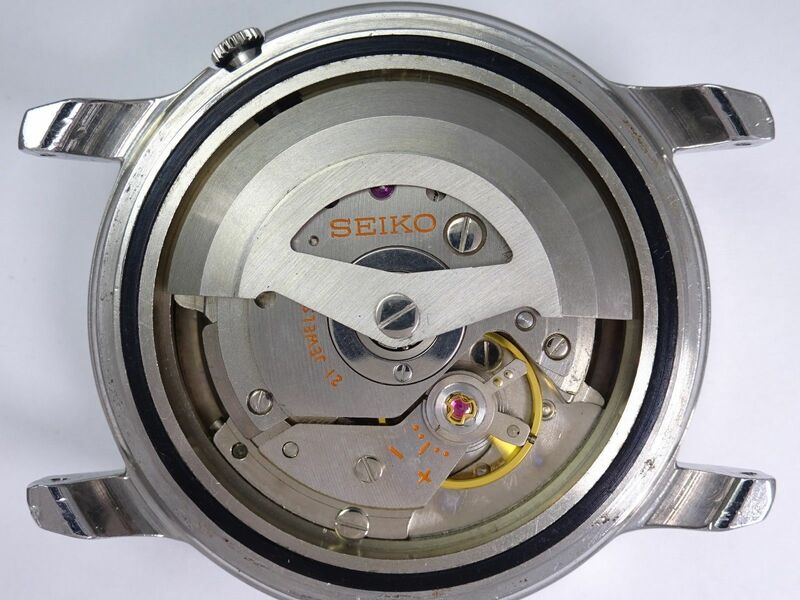 It features Seiko’s magic lever design and that allows winding as the rotor spins in either direction. It’s because of this that the watch actually cannot be wound via the crown. It features a date function that is quick set by pushing the crown and a day function that must be manually set by laboriously winding through the days. 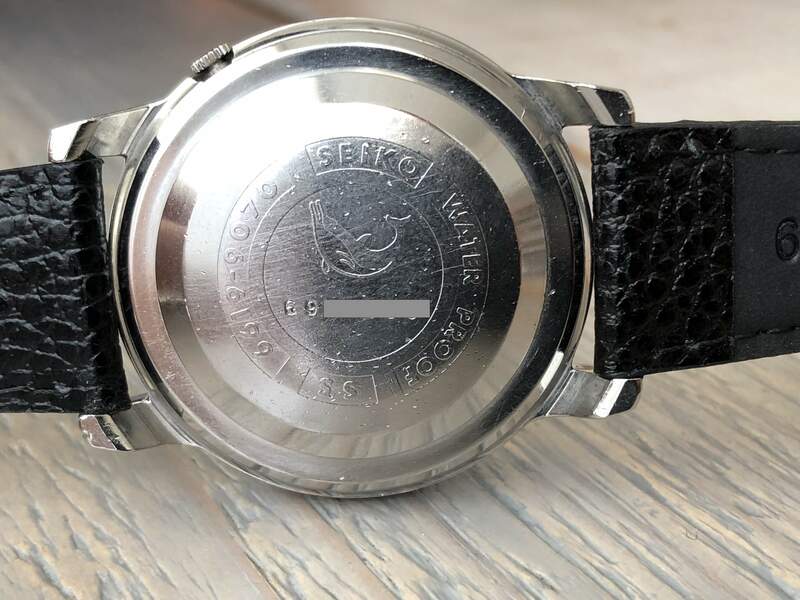 It should be noted that even though this watch was usually considered to be one of the cheaper automatics from Seiko, all Seiko movements were produced entirely in house; the Sportsmatic 5 Sports for example was produced as part of the Seiko 5 line – featuring the 5 horological hallmarks: automatic, day/date, water resistance, recessed crown and durability. 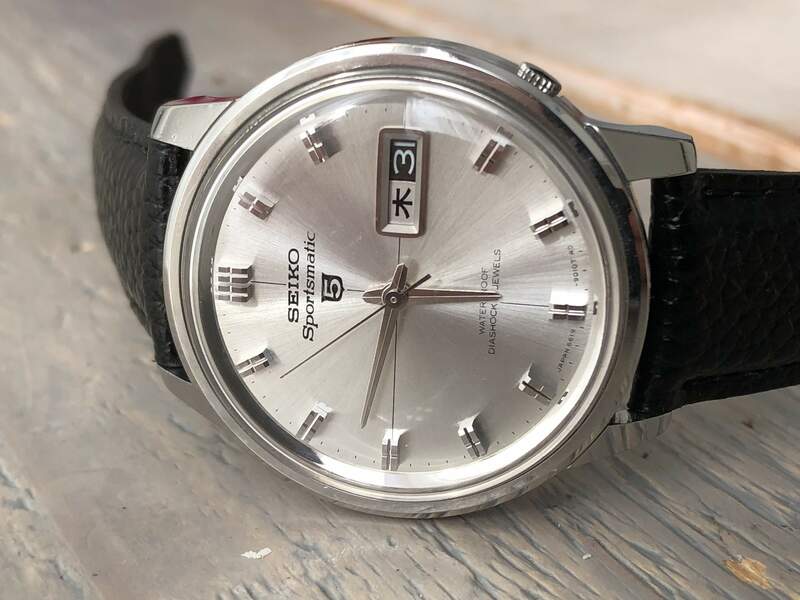 One can only assume that the Sportsmatic without the 5-logo is not worthy of this hallmark since it does not have a daydate window. 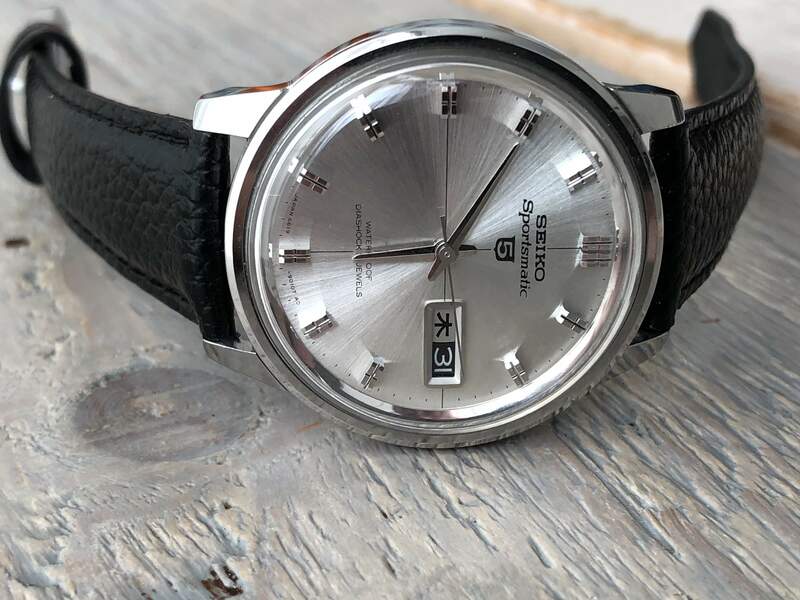 Moreover what sets this 9070 model apart especially are the crosshairs, which give a very high legibility usually reserved for the better than average sporty watch in the product line-up.. In that light it makes sense to also have a contrasting date wheel, in combination with the single symbol Kanji day wheel it provides an excellent view of the daydate window. 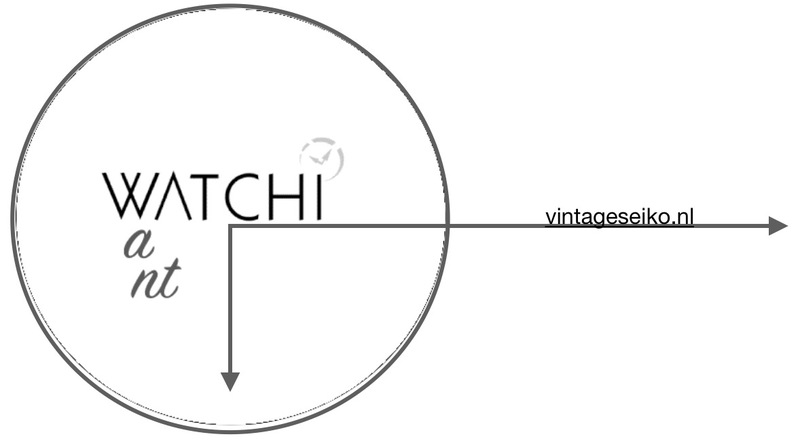 It should be noted as well that this watch is a true Japan only watch with just one langage on the day wheel! This means that at night, for a couple of hours only, the day will show a blank... it definitly adds to the charm of the sportsmatic. Overall, the dial layout is very well balanced, in three places text elements have been distributed expertly. There are two lines of text top and bottom; the black and white 5 symbol is right below the top lines leading up to the black and white daydate window. Going down to the two bottom text lines we finally end up on the left with a single line that is, well, a line. 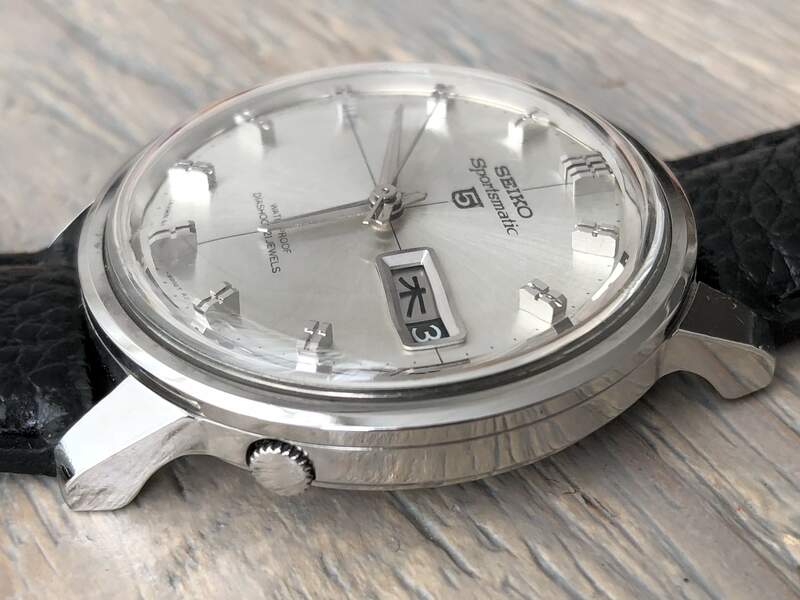 Still, that lone line holds its own with the rest of the layout because it is the one that is not broken up by dial elements and points directly to the daydate window.. This Sportsmatic is just a very enjoyable sight and a great daily wear, as it was intended, for the active man about town.